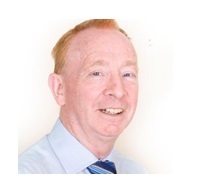 Ralph, an engineer by background, has his own chartered accountancy and statutory auditing practice, focusing on audit and also supporting clients with advisory work in areas such as governance, risk management, internal control, internal control, budgeting, project appraisal, IFRS, ethics and fraud prevention. The majority of clients are companies and charities – with all the governance issues that non-financial board members have. With his day-to-day working with diverse businesses Ralph spends much of his time consulting, mentoring, writing and lecturing on governance issues, including ethics and fraud prevention. For many years he was involved with the IOD directors’ programmes, including ‘The role of the FD’. He is a director of several companies including start-ups and charities and was formerly a ‘public member’ of the board of Network Rail. Ralph has delivered excellent training on our behalf over a number of years for clients such as Renewable Energy Systems (RES), National Pharmaceutical Association, Difko (Denmark), ESD (UK and China), Bridge Hall, the Institution of Mechanical Engineers (IMechE), Urbaser, Wolverine Proctor, etc, etc. His unusual combination of depth of technical expertise with breadth of approach and excellent training skills makes him a very popular trainer with audiences from all backgrounds and at all levels. Ralph works from bases in both London and Scotland.